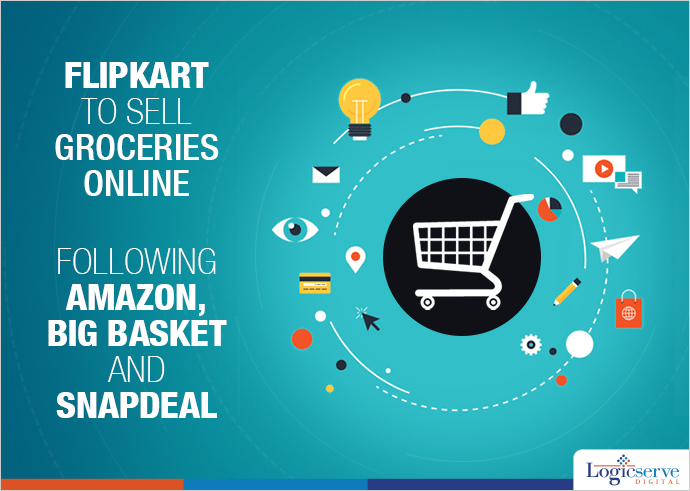 Flipkart is very much likely to sell groceries online from the second half of 2015 following suit of other e-retailers including ZopNow, BigBasket, Local Banya, Snapdeal and even Amazon. Since Flipkart is equipped with the requisite warehousing capacity, technical expertise and branding, it could be good risk to offer groceries online. With regards to competition faced by Flipkart, Amazon has launched Kirana Now in partnership with mom-and-pop stores in Bengaluru at pilot stage. Snapdeal is working in tow with Godrej’s Nature Basket in order to promote its 400 products with a next day delivery service since January 2015. On the other, leading online grocery portal, BigBasket has diversified its range of services to offer on demand express delivery, sale of private label products to offline stores and co-branded kirana products in conjunction with local kirana stores. The estimates revealed by the India Brand Equity Foundation state that in the year 2013, 69% of India’s retail sector worth Rs 300-lakh crore accounted to food and grocery followed by apparel at a mere 8%. Similarly, Nomura projects the growth of online grocery portals to the tune of $43 billion by year 2019. The array of grocery category and its related services highlight it as the next big category to concentrate along with electronics and apparel that are already popular amongst online shoppers.